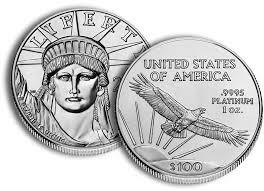 Investors in precious metals, and in particular, platinum, will be excited to hear that the U.S. Mint has announced that they are resuming the production of platinum coins following a four year hiatus, as reported by the Chicago Tribune. The U.S. Mint ceased minting U.S. platinum eagles following 2008 due to a drop in demand, as investors were more interested in traditional safe haven investments, such as gold, following the collapse of the financial markets in 2007 & 2008. However, recent renewed interest has helped to support the production of these coins, which were first introduced in 1997.